2. When ready to cook, preheat oven to 400 ˚F (200 ˚C). In large, heavy, oven-proof skillet, heat generous drizzle of canola oil over medium-high heat. 3. 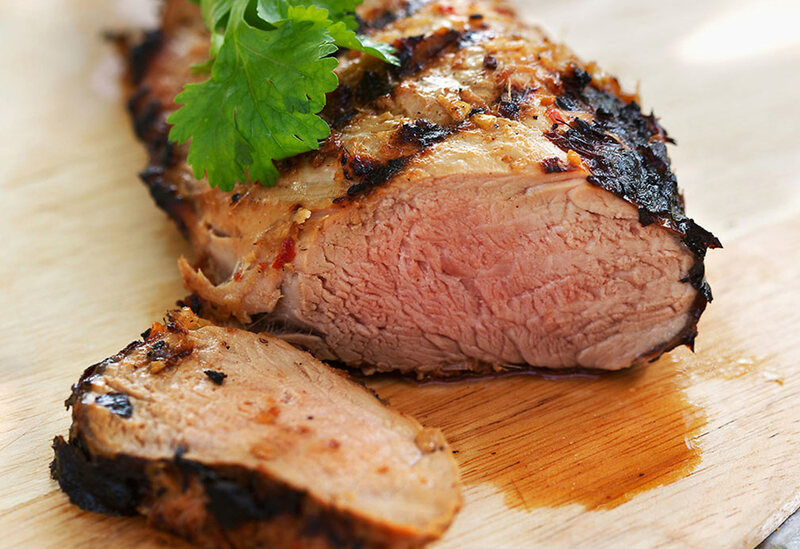 Remove pork from marinade and brown it on all sides. 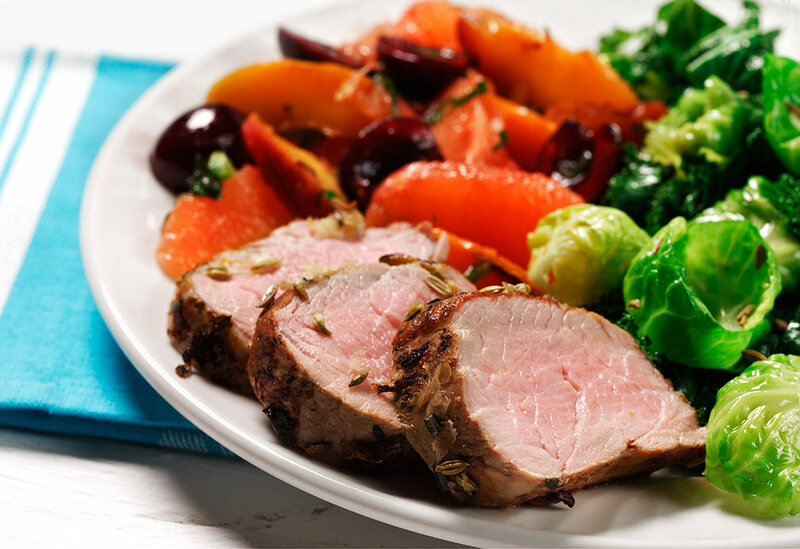 Place skillet in oven and cook for 15-20 minutes, until meat thermometer inserted into thickest part of pork reads 155 ˚F (68 ˚C). Tent loosely with foil and let rest for 10 minutes before slicing. 4. Meanwhile, in small saucepan, bring remaining marinade to boil over medium-high heat. Reduce heat and simmer for at least a minute, until it thickens slightly. 5. 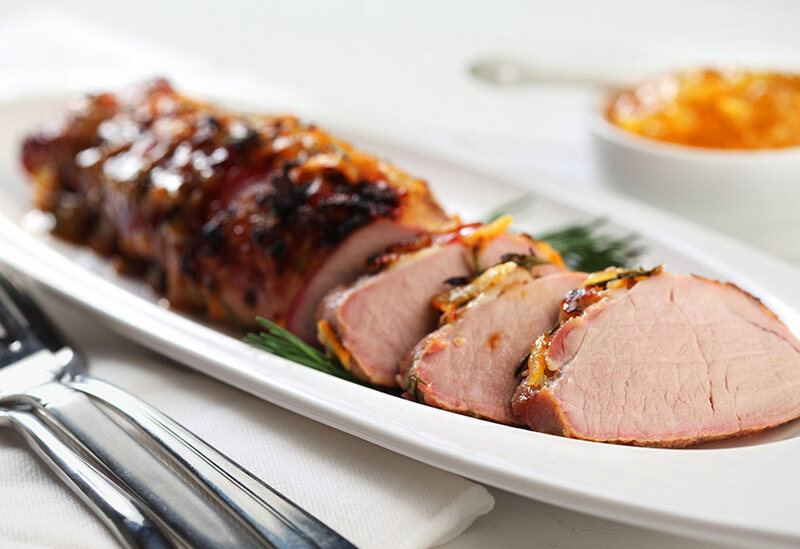 Slice pork into 1/2 inch (1 cm) thick slices on slight diagonal and serve drizzled with spoonful of sauce. This dish is best served with mashed potatoes to catch any extra sauce. 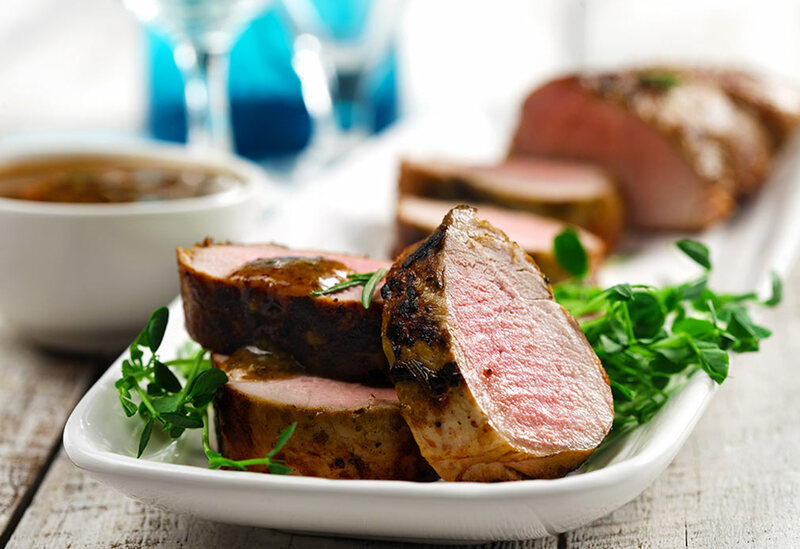 Tips: For variation, you can make Maple Rosemary Pork Satay by cutting the pork tenderloin crosswise in half, then lengthwise into strips before marinating. Thread onto bamboo skewers that have been soaked in water for at least 10 minutes, and grill on a preheated grill (or grill pan) that has been brushed with canola oil for 2 to 3 minutes per side, until just cooked through. Alternately, bake on a rimmed baking sheet that has been brushed with canola oil at 400˚F (200 ˚C) for 5-7 minutes, until just cooked through.